The afternoon’s programme began with a visit to the Special Collections exhibition Wellington and Waterloo ‘the tale is in every Englishman’s mouth’. This exhibition draws extensively on the archives of the first Duke of Wellington which are held at Southampton, presenting the Waterloo campaign from the perspective of Wellington. 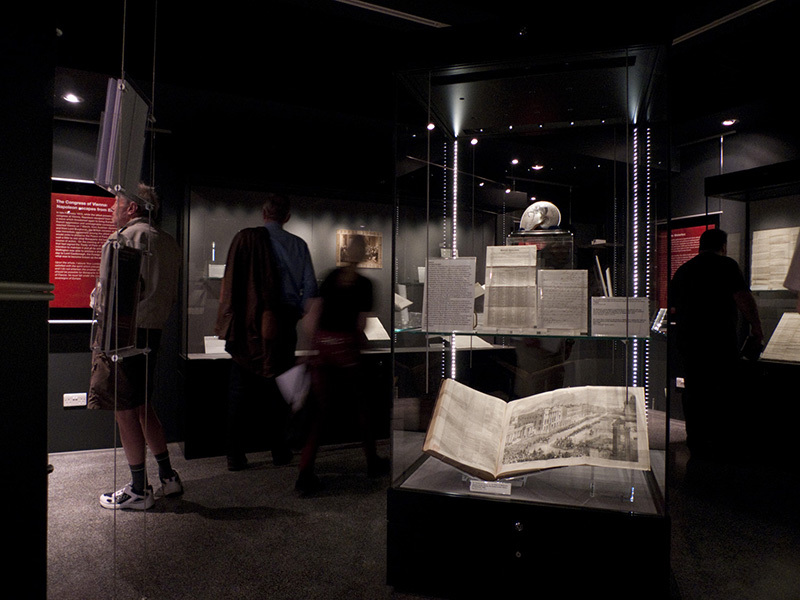 The exhibition has been co-curated by Chris Woolgar, who is Professor of History and Archival Studies, and Karen Robson, Head of Archives, at the University. 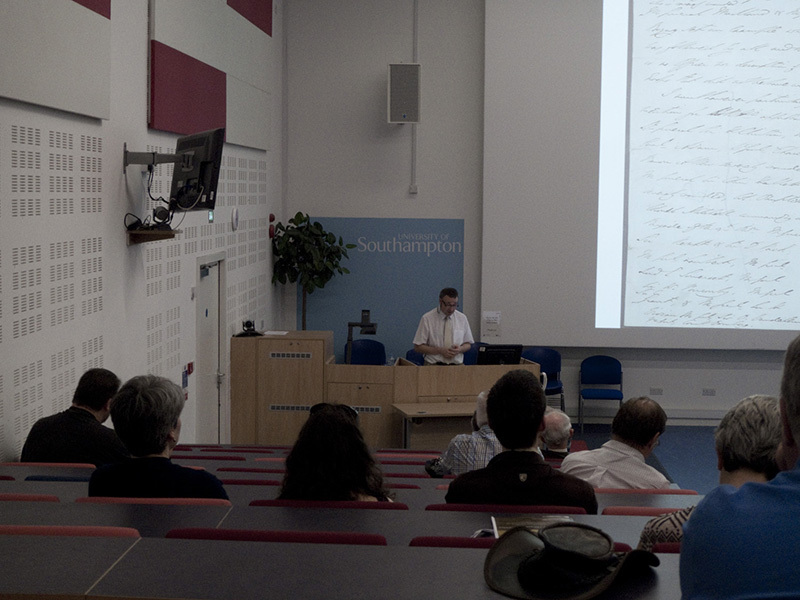 The visit to the exhibition was followed by a lecture by Chris Woolgar about writing the Waterloo despatch. This was an in-depth analysis of this formal document, which provided a fascinating insight into its composition by the Duke of Wellington. The afternoon was rounded off by tea and cakes. 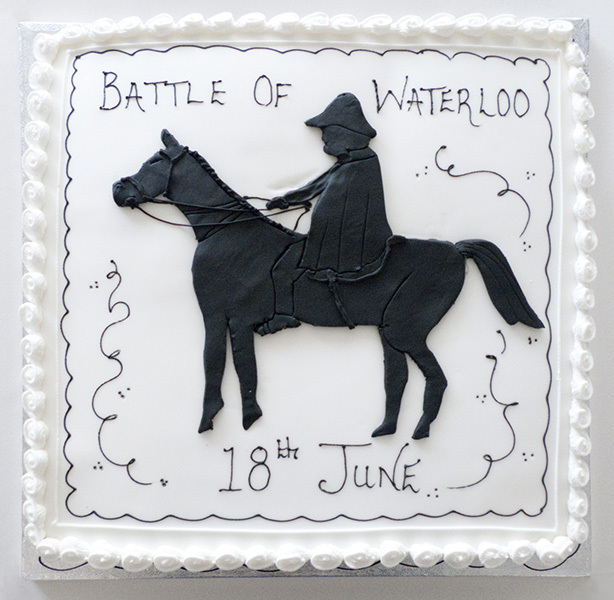 Pride of place was given to a cake depicting Wellington on horseback, specially commissioned for the event.